Combine in a bowl cheese, butter, lemon juice, salt and peper to taste, may need to put into microwave to soften butter. 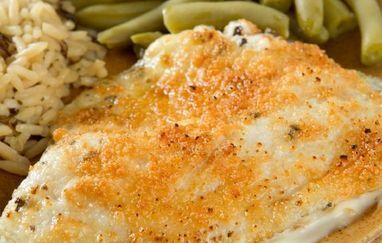 Put tilapia on cookie sheet sprayed with pam, cover the top of tilapia with the cheese mixture and broil until it is golden brown. serve hot. This recipe served on top of spanish rice.